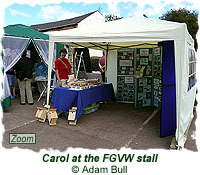 The FGVW had a stall at the Chapel Allerton Festival on Saturday 1st September 2007, for the third year running. 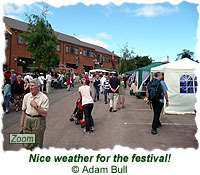 The weather was warm and sunny this year, which was a relief given the torrential downpour of the 2006 event! 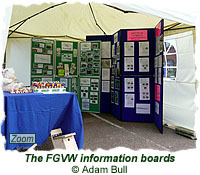 The FGVW stall promoted the group, sold merchandise (including greetings cards, postcards, rulers, badges, birdboxes, and photos), and provided general information about the woods, etc. 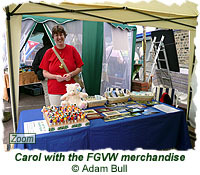 There was also the chance to win "eco-bears" on our "Lollipop Treasure Hunt" game.